Gilbert Del Principe and Bertha Reher married in Chicago on 27 Nov 1926. 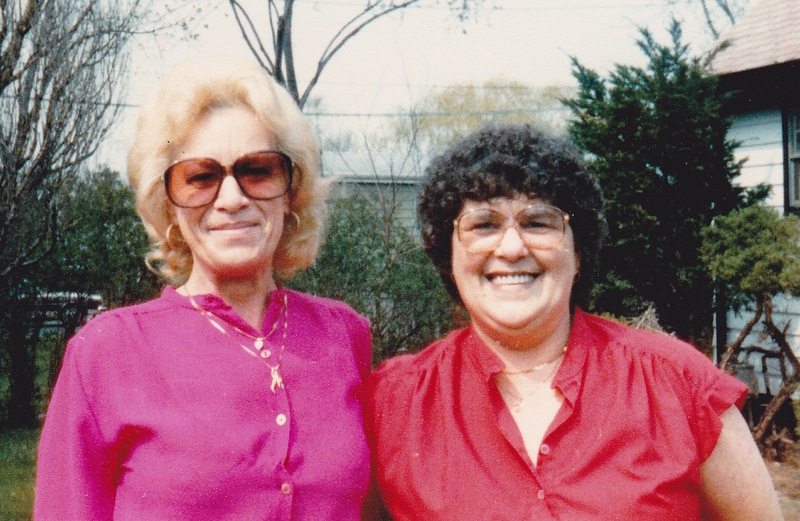 Phyllis Elvira was born in 1927 and my mother Corinne was born in 1931. I now realize that Auntie Phyllis was named after my 2nd great grandmother Filomena Ursitti. Mom and Auntie suffered some traumatic events early in life. They were both with their grandmother Elvira at Christmas Eve Mass when Elvira passed away in 1939. And they were both with their mother Bertha when she passed away at home in 1947. Auntie Phyllis was 19 and mom was 16. Auntie Phyllis would soon marry Richard and leave Chicago to settle in Connecticut. Auntie had 5 children and mom had 8 children. This equaled plenty of grandchildren for Grandpa to spoil. Mom and Auntie tried to see each other often and I have such fond memories of vacations with my cousins. Calling each other on the phone was a luxury for mom and Auntie that our children would not be able to comprehend. Long distance calls were very expensive and once the sisters started chatting there was no stopping them. When my aunt and mother got together those two ladies laughed and talked non stop. I can still hear them as if it was yesterday. In 2011 my brother Rob and I recorded an interview with Auntie Phyllis. I had just begun my genealogy research and knew Auntie Phyl had some great stories to tell. I recently played those files and found myself laughing out loud and smiling. What a great idea we had and why hadn’t we thought of it earlier so we could have recorded our mother!? Click the link below to listen to part of the interview. This is the 1st audio clip in our series. To listen to the other interviews, click on the box titled “Vincent Family” in the categories box to the right. Click below to listen to Auntie talk about how her older cousin Elvira (Snookie) gave Auntie Phyllis a bike she had outgrown. She tells us how grandpa taught her to ride it. We also discuss childhood illnesses (my mother had scarlet fever) and a lesson auntie and mom learned about washing the dishes in a timely manner. I remember hearing this story five years ago! It is so cool to hear Auntie’s voice! Brought tears to my eyes to hear my Mom’s voice again. Thank you so much for posting it. 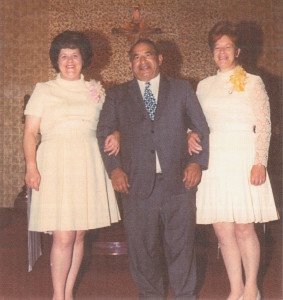 Love those pictures of Mom, Auntie and Grampa too! Hi Mark. I have a few more audio clips that I’m editing. If you have any memories that you’d like me to share, please email them to me.